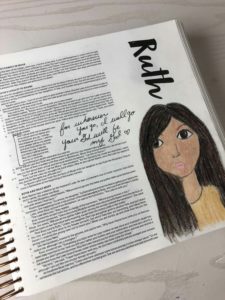 Illustrating Bible - Do You Really Need It? Here's What You Should Know. 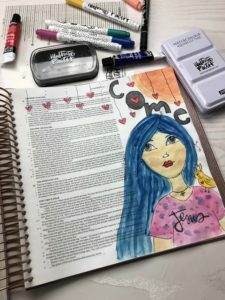 You are here: Home / Bible Journaling Reviews / Illustrating Bible – Do You Really Need It? 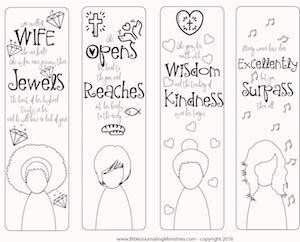 Illustrating Bible – Do You Really Need It? This post contains affiliate links that you can use to support our ministry when you make a purchase by using them. If you’d like to purchase the new Illustrating Bible, please click here. Thank you! How Many Bibles Does One Gal Need? The Illustrating Bible is here! There’s no question about it. I’m in love with God’s Word. That’s why I get so excited when I hear about a new Bible or translation. There are currently 33 Bibles sitting on my desk right now that I actively Bible journal in, one on my nightstand, a few on my bookshelf, two in the safe (family heirlooms), and a few in my tiny art studio. I collect them, but I also use them. My husband chuckles when a new Bible comes in the mail or when I return from a second-hand shop with a vintage one in hand. He knows how excited I get. I’m like a kid in a candy store. I can spend hours talking about Bibles, just like he can spend hours talking about football. We each have our passions and that’s totally ok.
Nope, I don’t have every new journaling Bible on the market. Maybe I will someday. The Bible is such a powerful and purposeful tool that I don’t think I can have too many. But, how do I decide when it’s time to add to my collection? Here are a few things that might provide some insight. Every Bible on my shelf has at least one purpose. The majority of my Bibles serve to help me grow in my walk with God, but many of them are used for this ministry and help others grow too. 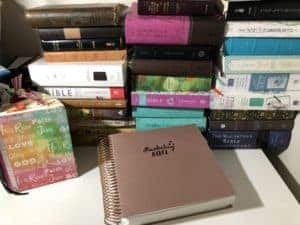 Some of my Bibles are set aside for Bible journaling, some of them are study Bibles, and some I give away. I flip through my Grandma’s old Bible and remember the woman that encouraged me to love Jesus. I touch my dad’s military Bible and wonder how he would’ve survived the war without his faith. I smile at the gold lettering on my first Bible and wonder why I was afraid that reading it would somehow mess it up. I splash paint on my latest Bible and am in awe of how something so simple can help me remember Scripture and fuel my love for Jesus. Every Bible has purpose. Ugh, the dreaded “B” word. Budget is a huge consideration for any purchase that I make. When I first created a budget, I felt limited. Over the years, though, it’s the budget that’s helped not only my finances, but my marriage and sanity as well. In my budget, there is a category for both me and my husband to spend on things we are passionate about. It started out as five dollars a month and grew from there. It’s still the smallest line item on our budget and I save for big purchases. If you’re reading this post online, but do not have the budget for a Bible, I would recommend reading the Bible online. There are many great sites that you can use. Don’t let not having a physical Bible stop you from diving deep into God’s Word. I don’t stick to one translation, and I try to have at least one copy of every translation. That’s why I was so excited when I received an advanced copy of the Illustrating Bible. It’s a CSB version, which is basically an update to the HCSB version and is the newest translation to hit the market. Reading multiple translations helps me see things in one Bible that I missed in another. When I discover a new gem I tend to dig deeper into the topic and grab both my study Bible and a commentary too. It’s really fun to see things in a different light. As I’m looking for new Bibles, I’m curious about the features that make it different than Bibles using the same translation. 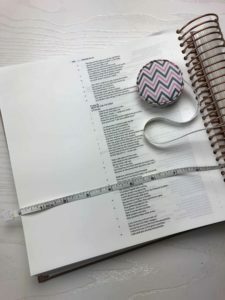 For journaling Bibles, I care about size, weight, page thickness, binding and margin width. Having one that’s beautiful is a bonus. It makes me smile. Scroll down to the review of the Illustrating Bible to see it’s features. Timing is huge when it comes to purchasing a Bible. When I come across one I really want, I have to ask myself, is now the time? Do I have a birthday coming up? Is Christmas just around the corner? Would this be something my husband would delight in purchasing for me? If so, I wait. I don’t need it today. It’s hard to resist a good Bible sale. If the Bible is on sale or has a special offer tied to it, there’s a good chance that I’ll buy it if it’s in my budget. If it’s super discounted, I’ll buy an early Christmas present for a friend and maybe paint the cover. Sometimes I get supplies for free. What a blessing! Of course, it does take many, many hours to film and edit videos, write reviews, and share on social media. These hours are worth it if the product helps others grow in the Word. Speaking of that, here’s my review of the Illustrating Bible. In this video, I share the things I love about the new Illustrating Bible as well as the things I wish it would’ve had. In general, DaySpring and Illustrated Faith did an amazing job with the latest release, and I’m so thankful they asked me to review it. Pages: The pages are thicker by 75% which helps reduce bleed- through. I put this Bible to the test! To see videos on what I got to bleed-through my Bible, click here. Margins: The margins are huge! I personally don’t mind covering the words, but many people do. This Bible is a must have if you’re concerned about covering the words, but want more space to journal in. It has 3 3/4″ wide margins. Size: The size of the pages are 9 1/4″ x 9 1/4″ x 2″ It’s the first square Bible ever. That’s perfect for those who want to share on social media for inspiration and evangelism. Bonus feature: No gesso is needed! Yay! You can save yourself at least $10 by not having to buy gesso and you’ll save yourself hours of page prep too! The time savings alone is worth the price of the Bible. Still on the fence? What questions can I answer for you about the new Illustrating Bible? I’d love to answer them in the comments below. Hi! What is the weight of the Illustrating Bible? I find that I’m not very happy with mine. It is pretty, but very heavy. I have also found watercoloring with or without gesso is terrible. I have tried numerous pages. If you just want to scrapbook it’s ok. Anyone else feel this way? How do you receive free bibles to review? I love Bibles… between my mother and I, we have so many Bibles in English and Spanish, it’s crazy but we love it. My mother is a pastor and I assist in the ministry… we would love the opportunity to receive and review Bibles and other Christian literature. It’s pretty rare, but the manufacturers or distributors will reach out to me and ask via email.